Gingko Trees (Gingko Biloba) or Maidenhair Trees Wholesale Nurseries. Although slow growing Gingko Trees are long lived and make a fantastic feature tree. Gingko trees are not drought tolerant however they do not require a lot of watering either. In open dry situations they may struggle, but given a cool root run they do well. Tube Stock and advanced trees are available from wholesale growers. 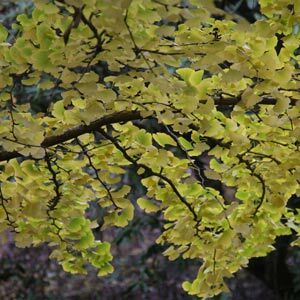 All Ginkgo trees are regarded as have a slow growth rate, although in good soil, with appropriate fertiliser you can have a very good sized tree in 7 – 10 years from a small seedling. Advanced specimens are available. Ginkgo biloba fastigata, a more upright or columnar habit, better suited to narrow gardens. Ginkgo biloba variegata similar to the species however with creamy yellow variegation on the foliage. Ginkgo biloba mariken, this is an unusual variety that is a very low growing, reaching only around 1m in height. Ginkgo Trees are available from the following wholesale growers.